Players have racked up more than $50 million in spending on Nintendo’s RPG Dragalia Lost across iOS and Android in just over two months, according to Sensor Tower. It’s a decent feat, considering Dragalia Lost is still only available in Japan, the US, Hong Kong, Taiwan and Macau. Of those countries, close to $35 million comes from Japan and the US, which are its highest earning countries. That pull is notably lower than the $75.8 million Nintendo’s Fire Emblem Heroes took from the US and Japan over a similar time frame. 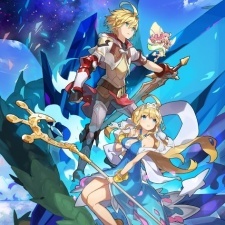 However, Dragalia Lost has earned significantly more revenue per download so far with an average of $22 on its Japan and US audience, which currently stands at 1.9 million users. Fire Emblem Heroes, on the other hand, averaged about $9 per install. Of the five countries that Dragalia Lost has been launched in, Japan is currently it's most popular and makes up 66 per cent of total revenue. Japanese players also spend the most on the RPG with an average of $35 per download. The US is the games second most popular and makes up 18 per cent of spending to date, with an average of $10 spent per install. Nintendo’s surge of income on Dragalia Lost has been relatively steady, with $28 million coming in its first month and $22 million coming in the month and ten days since. It’s currently the No. 28 ranked iPhone game by revenue on Japan’s App Store and ranks No. 116 in the U.S. on the same chart. Dragalia Lost launched on September 27th and raked in $16m in its first two weeks in the wild.